Breast reduction surgery is also known as reduction mammaplasty. 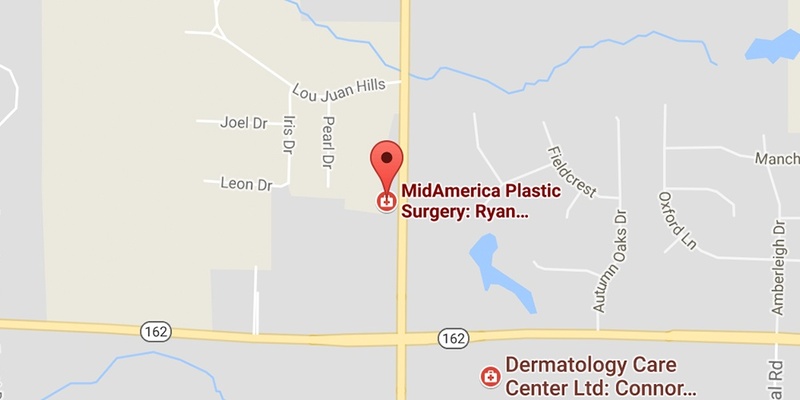 Dr. Ryan Diederich at MidAmerica Plastic Surgery performs this procedure to remove excess breast fat, glandular tissue, and skin to reduce the size of the breasts making them smaller and lighter. Large breasts can cause a variety of health problems, including: neck and back pain, skin irritation and infections, postural problems, and breathing difficulties. If you have large breasts that are causing discomfort, you are uncomfortable with the size of your breasts, or would like your breasts smaller for cosmetic purposes; this may be the surgery for you. You have realistic expectations of surgical outcomes. Your breasts are too large and you would like them to be smaller. Your breasts limit some of your everyday activities. You have skin irritation/infections under your breasts. You are self-conscious about the size of your breasts. Stop smoking well in advance of your breast reduction surgery. Avoid taking aspirin, anti-inflammatory drugs and herbal supplements as they can increase bleeding (If this is OK with your primary care physician. If you cannot stop taking these medications, please let us know). Breast Reduction surgery is usually on an outpatient basis. You will come to the hospital in the morning and be able to leave in the afternoon. You are not allowed to eat or drink anything after midnight the day of your surgery. Please arrange for someone to drive you to and from the hospital on surgery day. You will also need someone to stay with you at home for the first 24 hours after surgery. After the surgery is completed, dressings will be applied to the incisions and a surgical bra placed. You will come to the office the day after your surgery for follow up, and we will remove the bandages for you. Recovery is patient dependent, but you may be sore for a few weeks. You may also experience slight swelling and bruising. Seek medical attention immediately if you experience shortness of breath, chest pains, or unusual heart beats. Breast reduction surgery will make your breasts smaller, firmer, and lighter. Your new breast size should relieve discomfort caused by breast weight and help create better body proportions. In fact, most patients experience relief from back and neck discomfort almost immediately after surgery! It may take six months to a year for your breasts to round out and take final shape. Over time, the shape of your breasts can change due to aging, weight fluctuations, hormonal changes, and gravity.